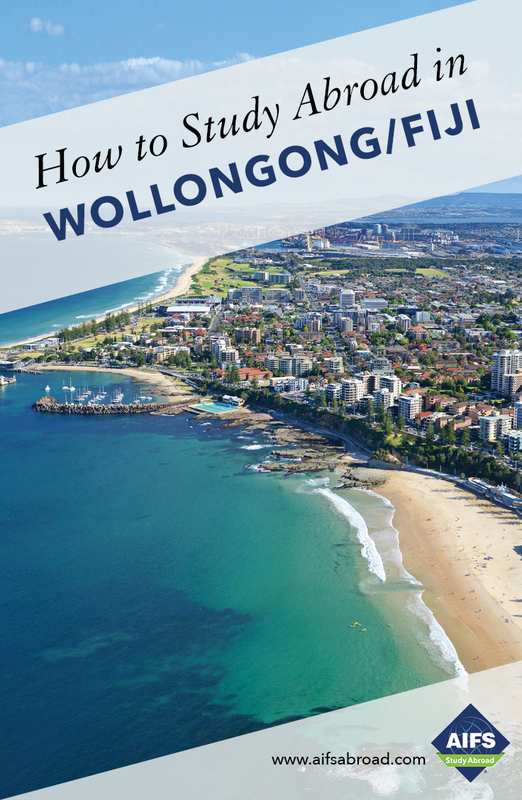 Included in your program are a range of free and subsidized cultural activities arranged by both AIFS and the University of Wollongong which focus on Wollongong, Sydney and wider Eastern Australia. Such experiences outside of the classroom setting will deepen your social, historical and cultural understanding of Australia and its people. Take a cruise around the beautiful Sydney Harbour where you will get a great view of the iconic Sydney Opera House and Sydney Harbour Bridge as well as the eastern suburbs where the rich and famous reside, as well as forts and naval vessels and if you are lucky you will see a whale, dolphin or fairy penguin. The Blue Mountains is a World Heritage listed site and one of Australia’s most spectacular national parks. You will enjoy a trip on one of the world’s steepest railways which descends into the ancient Jamison Valley, explore the rainforest and visit Echo Point with views of the famous Three Sisters. Visit a wildlife park to get up close and personal with some of Australia’s unique wildlife including the famed koala. Visit the Tobruk Sheep Station for a unique Aussie farm experience including a sheep mustering and working dog display, sheep shearing, an Aussie BBQ lunch and an opportunity to try your hand at throwing a boomerang. Some of these events are included and some will be subsidized and interested students will pay a supplemental fee on site. Students sign up on arrival and pay the University of Wollongong or its agents directly if they want to join the optional excursion listed below. The prices listed are in Australian dollars (AUD), they are approximate and subject to inflation. Exact fees will be confirmed upon arrival in Wollongong. We jump on our bus and head north to Hervey Bay where we board the ferry across to Fraser Island - the world’s largest sand island. After checking into our accommodation we spend the afternoon playing beach games and swimming in the huge pool. Take in an amazing sunset before a sumptuous buffet dinner and star gazing. Climb aboard the huge 4WD vehicle for an all-day tour of Fraser Island. Swim in the crystal clear waters of Lake McKenzie, walk among the huge trees of the island forests, drive along Seventy-Five mile beach’s famous Highway, hear the stories of the Maheno shipwreck, float down the stunning Eli Creek. After dinner, take the night ferry back to the mainland for our overnight bus travel to Airlie Beach. Wake up in Airlie Beach, gateway to the 74 islands of the beautiful Whitsunday Islands, to join the ocean rafting crew for a day of cruising around the Whitsundays. Relax on one of the top beaches in the world plus the opportunity to snorkel the island reefs. Speed back to port to check in at a mini resort. Drive north to Townsville and take a ferry across to Magnetic Island, a spectacular island resort for young travelers. Spend two days here relaxing on the secluded beaches, swimming, snorkeling and enjoying water activities. There are plenty of activities (at your own expense) to do on the island as well as exploring and enjoying the most of this tropical paradise. Magnetic Island has one of the largest koala populations in Australia and offers the chance to see them in their natural environment. On to Mission Beach, the home to one of the most beautiful beaches in Australia where you can play beach sports, lie back and enjoy the sunshine. Raft the famous Tully River, known for the best rafting rapids in Australia. Yell and scream down the mighty rapids on a full day of rafting before it’s onto our final destination of Cairns and our awesome accommodation. Experience one of the Seven Wonders of the World – The Great Barrier Reef - by snorkeling and sailing to two unique locations. World-famous Michaelmas Cay National Park is a world-famous bird sanctuary with a beautiful sandy beach, providing a rare opportunity to snorkel off the beach in protected, calm waters. Fee includes transportation and guides, all meals and accommodation, camping fees and supplies, park entrances and touring. This excursion begins in Brisbane and ends in Cairns and students will be responsible for transport to and from Wollongong.